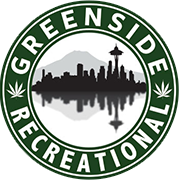 Greenside Recreation has been Des Moines’ choice for legal marijuana since we opened our doors. And while we have plenty of local clients, we’re the destination for anyone looking for weed near Sea-Tac. That means many of our clients spend some quality time in the car, and since we know the right tunes can make all the difference when you’re battling traffic, we put together a little list of songs to add a little pumpkin spice to your favorite playlist. Given October is all about spooky stuff, we went for a ghostly vibe with these picks, so turn them up and relish in the spirit of the season. This sprawling, nearly ten-minute track from gothic rock architects Bauhaus is a must play at this time of year, as it’s icy guitar notes and haunting vocals could send a shiver down your spine in the heat of August. It’s a fitting tribute to the legendary actor who scared audiences silly as Count Dracula. The grandfather of shock rock is at the height of his powers on this track, which balances his gravel-voiced vocals with a loping backbone of punchy horns and twinkling keys. While there’s most definitely a novelty factor to Hawkins’ music, the sincerity and rawness of his delivery keeps it from being more kitsch than cool. This tense, bass-driven track is one of the songs that put these legendary New York art rockers on the map. The jumpiness of the beat will have you looking over your shoulder, and David Byrne’s soaring vocals make it impossibly tempting to sing along—even though you likely can’t hit the notes. It’s a must for any Halloween mix. Robert Smith and company have been making music for nearly four decades, and while they’ve certainly made some seriously creepy tracks in that time, we don’t think they’ve ever gone as far as they did with the eerie, atmospheric, “Subway Song.” Spoiler alert: There’s a jump scare at the end of this stalker anthem, so be ready for it. We don’t know exactly why the tall, handsome stranger’s right hand is red. But given this is a Nick Cave song, we can speculate about the reasons and none of them are good. The only reason this song hasn’t been used on the a horror movie soundtrack is because it’s basically a horror movie all by itself. The video is basically nightmare fuel. Back in Stock: Greenside Apparel! Find A Dispensary Near You. This product has intoxication effects and may be habit-forming. Marijuana can impair concentration, coordination and judgement. Do not operate motor vehicles or machinery under the influence of this drugs. There are many health risks associated with the consumption of this product. Marijuana products are for use by adults 21 years of age and older. Keep out of reach of children. Dispensary Website Theme by Foottraffik.